This gentle soothing cream provides a high level of moisture to the skin due to the superior quality of freeze dried Aloe Vera in the formulation. The formula also contains Bisabolol (derived from the chamomile flower) known for its calming and soothing benefits. Perfecta is absorbed quickly leaving a smooth radiant glow. Gently pat around the eye area over cleansed skin to help prevent fine lines and noticeable aging of the skin. It is also excellent for use on the face and dry cuticles. Bisabolol: A botanical that aids the skin as a soothing and anti-inflammatory agent. Aloe Barbadensis Gel: Helps to hydrate, soften, heal the skin as well as have anti-inflammatory properties. Dimethicone: Helps to condition and protect the skin against moisture loss (a skin protectant & emollient). 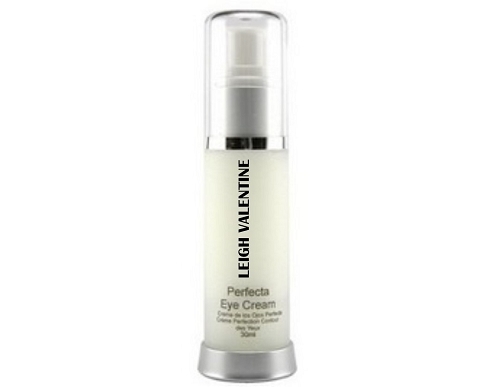 Light-weight super moisturizing cream specially formulated for the delicate eye area. Absorbs quickly leaving a smooth radiant glow. Superior Aloe Vera ingredient provides moisturizing and soothing benefits to help soften wrinkles and dry areas. May be applied to entire face and neck for additional moisture. Helps to soften nail cuticles both on hands and feet. Deionized Water, Aloe Barbadensis Gel, Isocetyl Stearate, Isopropyl Lanolate, Glycerin, Cetyl Alcohol, Polyacrylamide (and) C10-13 Isoparaffin (and) Hexyl Laurate, Laneth-16, Cetyl Palmitate, Dimethicone, DMDM Hydantoin, Iodopropynyl Butylcarbamate, Phenoxyethanol, Bisabolol.